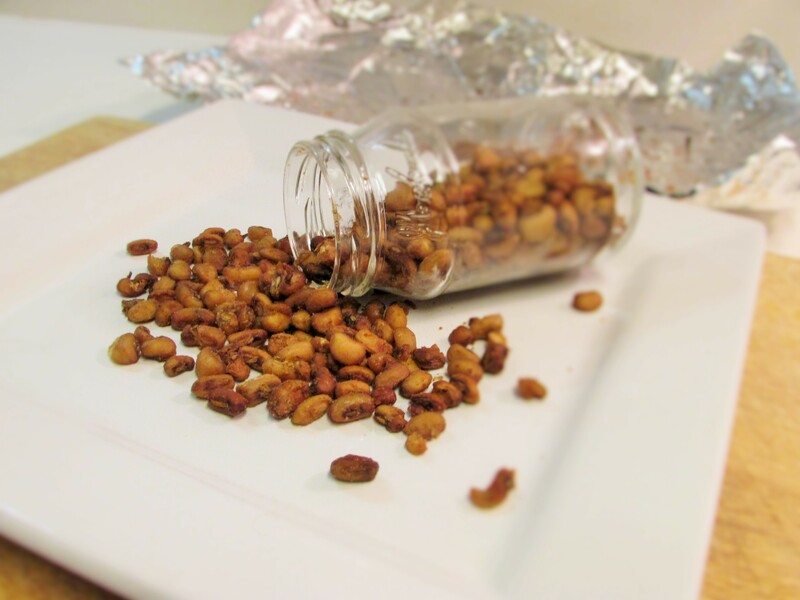 So, I was talking to one of my big sisters Ade; she showed me a bag of beans and asked me “what can you do with black eyed peas or oloyin(honey) beans?” We went ahead to talk about roasting beans at first we seemed not know how to go about the little experiment. We decided to soak our beans and boil half. I soaked half for 10minutes and tried to roast it but it came out a tad tough, so I sought out Shakirat about the method used in dehydrating beans. We talked about the chickpea method and she mentioned that it is usually “thoroughly” cooked and ding! there was an idea. My experiment came out successfully, so did Ade’s. She seemed to like the pre soaked beans better than the pre cooked ones; probably because of it’s crunch. I preferred the pre cooked ones as they were more crispy. I have to say this, I had to do another pre soaking experiment. Ade had mentioned that I had to soak the beans for longer. I soaked my other batch of beans for about 6 hours and roasted them in the oven, but I still preferred the pre cooking method(it is a thing of preference). I ate almost all of my half when I completed my experiment. I stored the rest of the beans in the refrigerator and in a make shift mason jar. 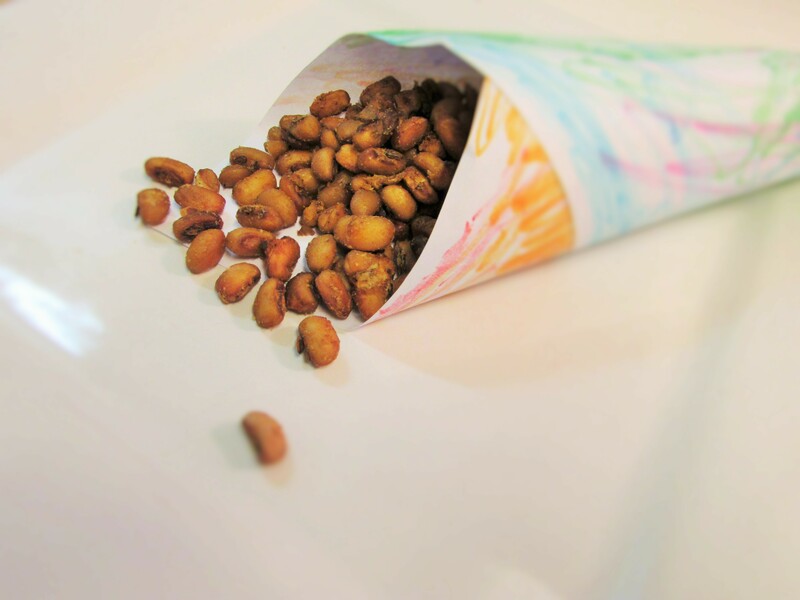 This snack will go amazing with beer, just like peanuts at a bar! toss the beans in the seasonings including the 1tbsp of the coconut oil. 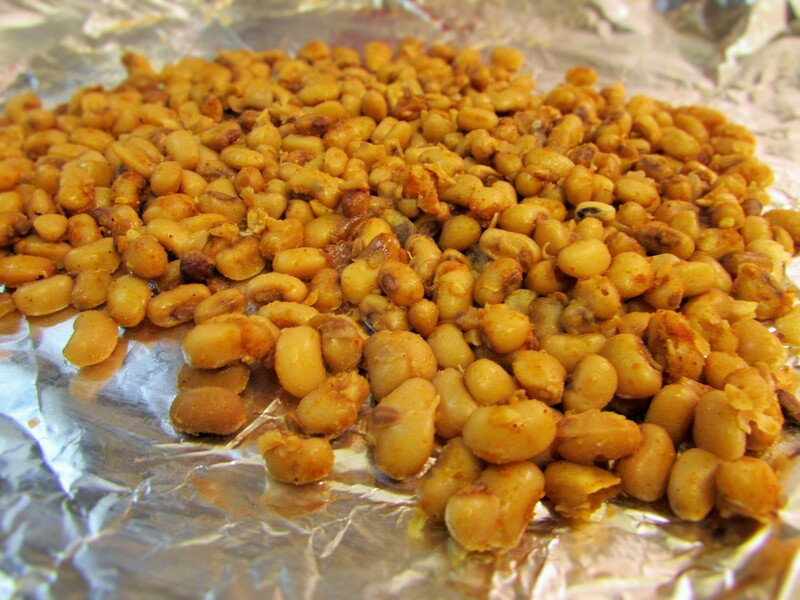 spread the beans on a non stick baking sheet and sprinkle the remaining 1tsp of coconut oil over it; then place it in the oven at 300-375 degrees for about 15-20minutes or until the beans is crispy and viola! 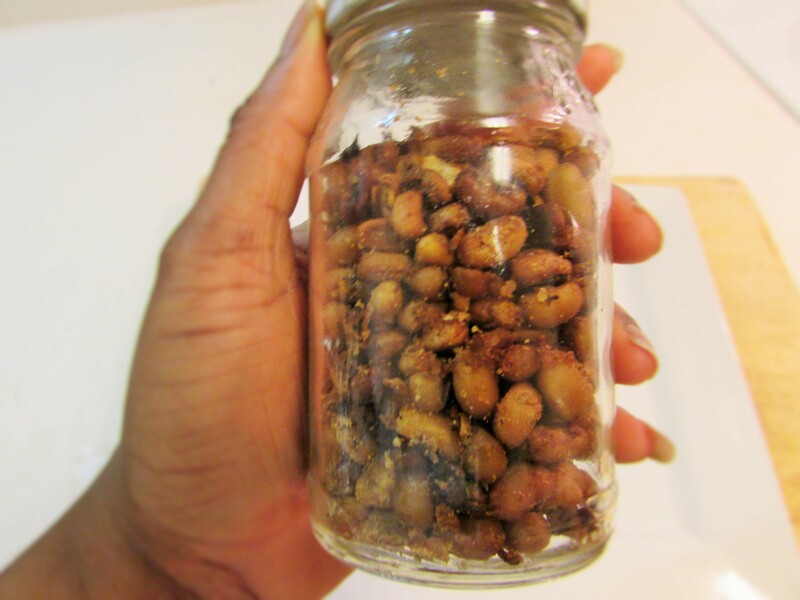 This entry was posted in Uncategorized and tagged bean snack, roasted beans snack..
Will be trying a beans and corn version!